The contribution of landscape architects to the realm of urban planning and development is based upon theoretical, formal, and strategic models, models that urbanists continue to rely upon. Essentially, it is possible to single out three. The first model, being also the most ambitious and t seductive, is that of the American park system developed during the nineteenth century. Minneapolis's Emerald Necklace, conceived of and designed by Frederick Law Olmsted and Horace W.S. Cleveland, is perhaps the best example. 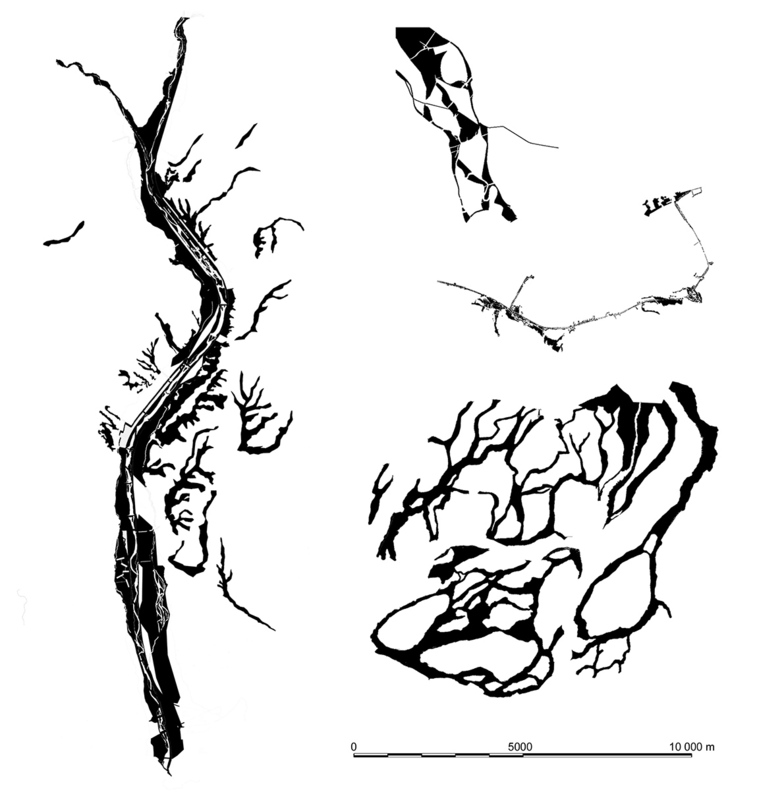 It is a system that builds upon the existing natural geography of the site – on the rivers and lakes present in this particular case – for which the system aims to exploit, rearrange, improve upon, or even remodel, as Olmsted also does in Boston. By taking advantage of and bringing into relief the characteristics and continuities present in a territory, and using these characteristics as the foundations of an urban development scheme, the value and utility of a site are enhanced. Relying upon such a systematic framework, serves as a means towards a more beneficial urbanization. . In such a way Minneapolis now benefits from around 50 miles of buildings that face the parks, from which all inhabitants, even if they have no view from within, are never far. The second model aims to create the same value as the first, but through a different approach: the idea of a landscaped enclave. The best example of this model is New York’s Central Park, again provided by Olmsted. It is again a question of relying upon the geography at hand, and reinventing this geography as a public park. Central Park rests upon the fiction of an untouched and preserved nature in the heart of the city that would be built up around it. However in 1850, before the creation of the park, the same terrain was described as “abandoned, ugly, and repugnant” by a New Evening Post journalist! But this does not matter: the centrality of the park, distinguishing itself from the density of the city surrounding, offers residents a place for relaxation and rejuvenation. The third model is antipodal with the preceding two: it is the result of a kind of scattering, a city punctuated throughout with little parks and gardens that, because each have been given a status, are maintained, and serve to constantly remind one of nature's presence in the city. An excellent example of this is in Tokyo, where small, admirable gardens can be found lighting up and transforming even the most unwelcoming of places. These leftover spaces, under elevated train tracks, for instance, constitute a myriad of little pocket gardens, which, when taken together, constitute a landscape. Here there are no abandoned spaces. Similarly, Monaco claims an impressive number of green surfaces with respect to its number of inhabitants. However this is merely the result of each garden, flower pot, and private terrace being taken into consideration and calculated as such. The crux of this model, as is the case in Tokyo, is when each plot of land, however small, is given a status: This conundrum provides the launching point for a strategic plan of intervention. Models based upon actual geographical systems, utilizing orographic and hydrographic research, are invitations to rediscover within landscapes that have been badly impacted by urbanization the large structures capable of creating large continuities. Such models lead to the identification of certain critical zones which require intervention. It is important however to realize that this model of revitalization – which no longer proceeds through anticipating urban growth, as it did in Minneapolis, but through intervening in already worked upon and built up territories, as in the Parisian area – even when it receives a consensus, remains weak and irresolute in its application. No matter how widespread and strong the endorsement it receives, what comes of it is often of little effect. Indeed, the constancy and perseverance required to carry through interventions on such a scale does not cease in colliding with the state of things, with other possibilities, with the prevailing economic situation. The park that unifies an urban space remains a possible model. In the Parisian area, examples of this model can be found at work in the neighborhoods of Boulogne-Billancourt or in Batignolles. The creation of a park that provides added value to that which surrounds it while remaining to some extent apart and exceptional, requires a strong will of intervention, an authority truly capable of carrying to fruition the park's invention. As for the Tokyo model, it brings to mind the study I conducted in the Hauts-de-Seine region in which I meticulously inventoried each landscape form to be found in the area. These were not so much landscaped or historical as ordinary and commonplace. The impressive level of diversity encountered was an invitation to take all these forms into consideration, to not resign oneself to the usual models embedded in the mind. But here as well what comes of it is often of little effect. The fact then remains that these separate and unique models need to intersect – which is exactly what they most often do. However, two different considerations, of equal importance, should be taken into account. The first consideration relates to the fact that landscapes today are not merely the result of their natural geography – one responding to the land's hills and valleys and waterways. Landscapes are now also the result of an artificial geography at work, one administrative and regulatory, technocratic and technical, which has altered and continues to profoundly alter them, acting upon them with much more vigor and force, even brutality, than that required for centuries in the work of composing and negotiating with just the natural geography. With the rapid acceleration of construction and urban development, with the multiplication of mechanical means at one's disposal, the resulting density has had the effect of erasing or effacing or at the very least blurring and obscuring the natural characteristics of sites. The landscapes that result from this process should be viewed and approached as another form of naturalness with which to compose – less in the sense of designing and ordering than in that of arranging and accommodating, landscapes such as those containing a dominant presence of infrastructure that has shaped and defined the area. These two “natures”, one natural and the other artificial, do not necessarily have to enter into conflict. If they are contrasted here, it is to better highlight and distinguish them from one another, in order to work them together like a dialectical spring. This juxtaposition can come into play in the development of a park, as for example in my work in Bordeaux on the right bank of the Garonne, working with the traces of a vanished industrial sector. 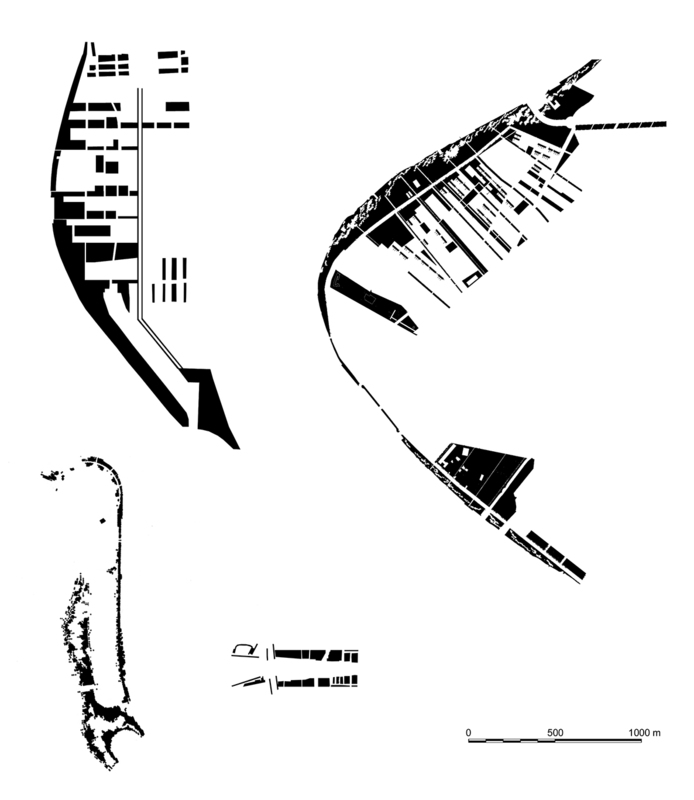 But it should also be taken into account in territorial planning, considering both the natural invariants of a site, with all the obligations of sustainability that go with them, as well as the more recent marks and traces of history, elements that have left in their wake more significant constraints and which cannot simply be ignored. This often leads to the introduction of various strategies of repair and restoration, but not always: the elements of history have also produced various forms that we must accept. In this respect, the change imposed on this industrial heritage acts as a lesson. The second consideration relates to the work of time. Urban planning and development necessitates long periods of time, periods lasting even longer than the several years necessary for plantings to take root and form. It is again crucial to learn how to work and compose – and again in the same sense as above – with these lengths of time. They can easily become an obstacle, especially if one is intent on executing large urban or landscape compositions which, because of the time involved, either fail to come to fruition, or as a result are inevitably distorted. But time in this sense of duration can also become an instrument, if clever and artful strategies are conceived and put into place. The urban periphery contains a very high percentage of this neglected terrain. These spaces awaiting their next transformation should be taken advantage of, considered as a kind of intermediate nature. What do we mean by this? That strategies that play with time and duration are possible. Planting these vague spaces, and other spaces coming to the end of their use, is, after all, an inexpensive way of altering them profoundly while they await their next function to be assigned – a future function in turn influenced by these changes introduced during the interim. This is a way of creating value, in playing with the concepts of duration and the temporary. These spaces can themselves welcome and foster temporary uses and qualities. What is of importance is the status they are given. In this way, it is possible to take advantage of these voids while at the same time preparing and adding value to these areas of land in temporary reserve. The relatively long time frame involved corresponds to the time necessary for the creation of the urban, itself experiencing its cycles. This strategy of gradual infiltration can be applied in a number of other ways. In moving closer to the pocket gardens model of Tokyo, it becomes possible to profoundly alter the landscape of urban residential areas. A number of directions are possible. One direction relates to the building densification of these residential areas. I think for example of Cambridge, where next to magnificent villas lining a broad road network were added new homes in the interior of the large plots of land. Contrary to French regulations regarding common ownership, here it is possible to open a window that looks out onto the land of a neighbor. This serves in creating a great wealth of situations and positions and functions for the site, creating interactions of which we have little knowledge in France! Another direction would be to appropriate a number of private homes with their accompanying land in order to transform them into small public gardens, while establishing in some of them communal facilities. This would introduce shared and communal practices into private spaces, and would help break the image of parceled areas as tragically sealed. Yet another direction is practiced in parts of Belgium, where there are residential areas with oversized streets. These were made one-way streets while the part marked off from traffic was planted with trees. Instead of widening the bordering sidewalk or introducing an alignment of boulevard trees, two options that come with a large price tag, it was rather a question here of knowing how to play with time, using it to gradually alter the status of the site. In utilizing time management as a tool, smaller transformations become the focus, changes much more easily and naturally implemented, changes which are after all more effective than those that rely on an authority in charge of composition requiring in its turn either a private, public, or political authority to be carried out. This strategy induces a mistrust both towards major and accepted principles as well as towards tools overladen with analysis, preferring instead a discerning and detailed approach and investigation. It is a strategy that leads to the invention of as many projects as procedures and methods, to the utilization of project specifications that resemble checklists, clarified to the point where aerial clashes in the landscape are avoided. Like all catastrophes, these are the result of a convergence of mistakes and negligence, which taken separately would appear without consequences. This is why taking durations of time into consideration beforehand is a very reliable means of producing the sustainable, allowing us to prepare for the future.